Lumber and Screws Approved for Outdoor Use are Purchased Separately. Additional cost from your local lumber yard is approximately $375. Estimated Building Time for 2 people is 10 to 12 hours. 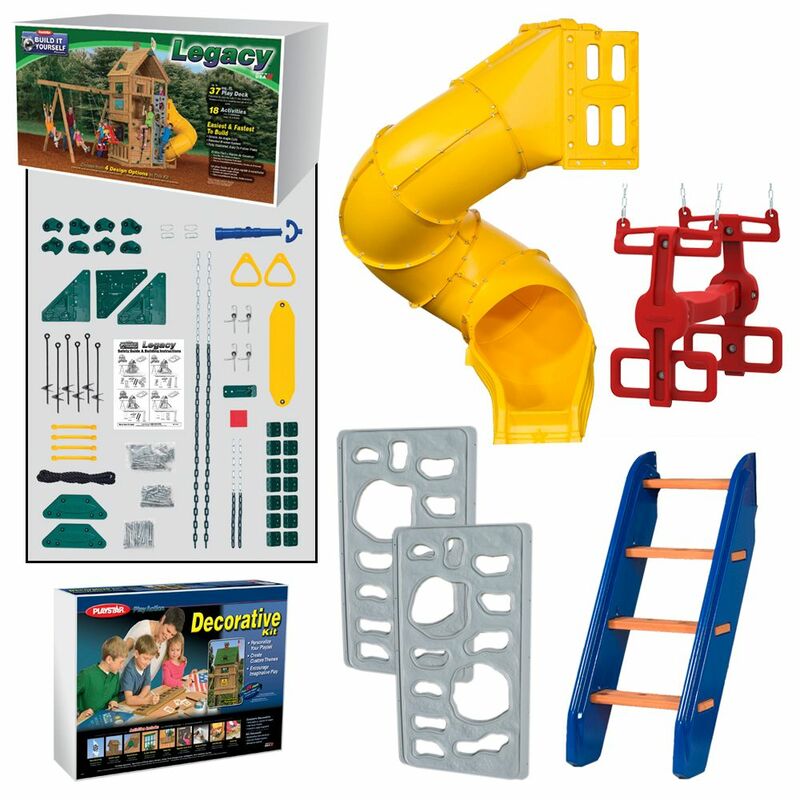 The Cliff-Hanger Gold is a unique Play System designed for an expanded age of play offering a 16 panel climbing and hanging apparatus that will build strength, agility and coordination. This Double Octagon-Shaped, activity based kit features 240 Sq. ft. of climbing space and 17 different activities. Includes 2 Cargo Nets, 4 sets Climbing Rungs, 2 Climbing Rope Walls, 2 Rock Walls, 2 Hanging Rings on Chains, Monkey Rings, 4 Vertical Climbers, 2 Climbing Rope/Rock Walls and more Monkey Rings spanning between the two units.